A couple of weeks ago I had to take a some time off the beers due to some medication I was on. I used this as an opportunity to try some of the alcohol free beer options available on the Australian market. To say options were limited would be an understatement. I found a total of 3 beers! One Australian (Coopers Birell), one Czech (Budvar B-Free) and one German (Warsteiner Alcohol Free). I know there are others out there, but they just weren't presenting themselves to me. In any case; here is the review of the Coopers Birell, I will preface this with I went in with very low expectations! It started out positively, with a clear deep golden liquid coming forth when I opened the bottle. The head was quite small, only a finger high and was comprised mainly of small bubbles. This contributed to the head fading quite quickly to nothing, subsequently there was next to no lacing left behind. Normally I judge appearance by adherence to the style, marking this against a lager (which I'm guessing it is) it's not too bad. Thankfully the beer tastes a bit better than it smells. The flavour is again quite light, with caramel and grainy malts dominating what flavour there is. 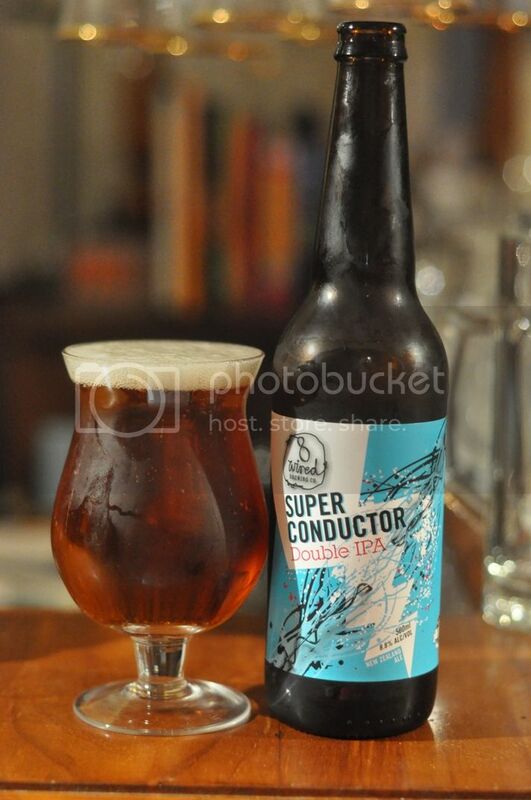 There is a tiny bit of bitterness, just enough to make it refreshing, although there are no obvious hop flavours. It is, as expected, quite thin bodied although there is nice spritzy carbonation. 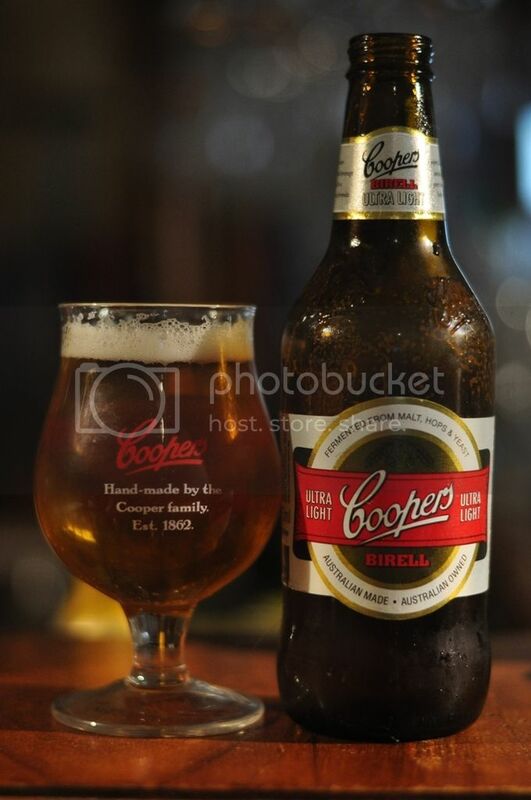 Coopers Birell certainly wasn't my favourite beer of all time. Given the right circumstances (ie. I can't drink alcohol for any extended period of time) I would have another one. It was relatively inoffensive if undistinguished. Of the three I tried this was the one that tasted most like a beer, the others were a little sweet and tasted like wort... If you are desperate for an alcohol free beer you could do worse than Coopers Birell, although regular ginger beer or water are probably better options.